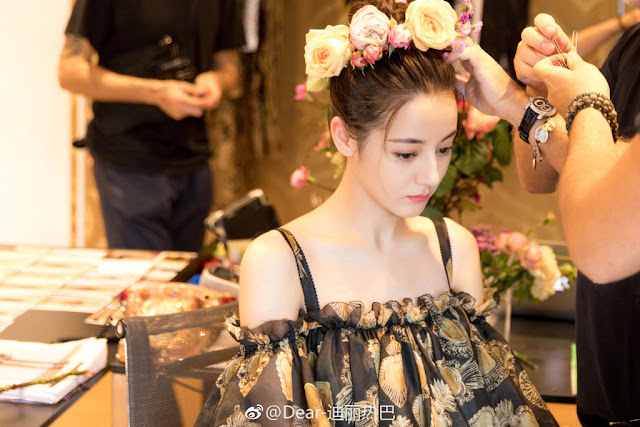 Now that she's a brand ambassador for Dolce & Gabbana, it seems that Dilireba's set to become a permanent fixture at Milan Fashion Week in the same way that Yang Mi attends New York Fashion Week. Dilireba walked the runway for the second time and compared to her first time last year, she seems less restricted and more like her adorable self. The clothes make a difference too. 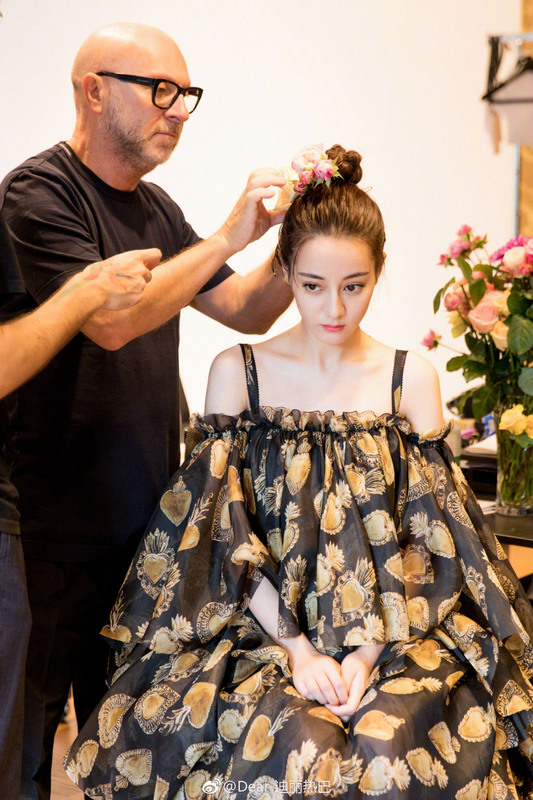 I'm not a fan of the ruffles, but the flowing dress suits her. There're a lot of things going on with all the heavy accents but just the right amount of extravagance that befits fashion week. 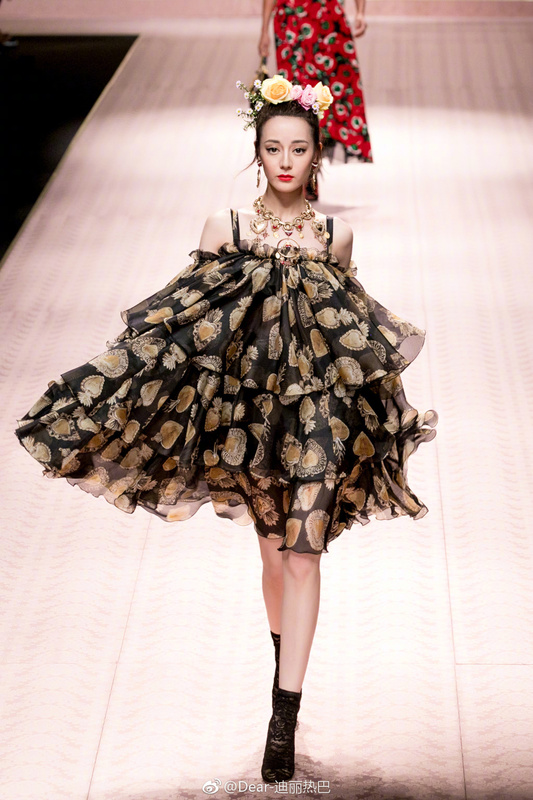 Then she goes on the runway and instantly turns into a sophisticated model. I love it. Yeah weird fluffy clothes, not pretty. She's tall and slender so she managed to... not look bad in it. There are some worse and even more weird lookin clothes out there, so many models have failed to even look presentable in those horrible clothes. I haven't seen DLRB failing any piece of strange clothings so far, yet. I'm actually keep looking out for that till it happens lol, guess she's been doing really great in fashion lately. She can wear a sack of potato and Im sure she'd still look like a goddess haha. She is definitely a beauty. Cannot say her acting is good but she is beautiful and adorable. It was nice to see her more relaxed for this years show, since she has experience walking the T-Stage, she has less to worry about. I think the schedule was pretty tight so she didn't have too much time to explore Milan, hopefully she has more time to do so next time!